Calxeda, one of the first companies to announce an ARM chip, has folded operations and is seeking ways to sell its intellectual property. Started in 2008 with the name Smooth-Stone, it raised more than $100 million (£61 million, AU$ 112 million) in capital. Early on Calxeda pictured ARM processers as being low-powered, cheaper alternatives to x86 chips, which are used in most servers today. It announced in 2011 that it was developing ARM-based chips with up to 480 cores for low power servers. Its chips were used in servers for Boston Ltd.and was due in Hewlett-Packard's Moonshot system, set to be released in the new year. "The concept of a fabric of ARM-based servers challenging the industry giants was not on anyone's radar screen when we started this journey. Now it's a forgone conclusion that the industry will be transformed forever," Calxeda said in a statement. The firm failed to find enough substantial financing and its board voted to shut down operations to preserve capital. Most of Calxeda's 130 employees will be laid off, except for a skeleton crew that will deal with creditors proceed with the company's intellectual property. AMD will start shipping ARM chips in the first quarter of next year, and AppliedMicro recently started taking orders for a developer board with an ARM-based X-Gene chip. 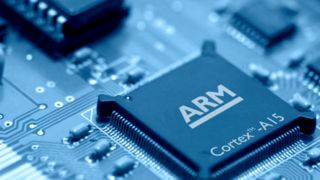 Both companies are putting energy into developing 64-bit ARM processors. Calxeda had these chips in the development pipeline but ran into a lack of funds. "They spent a lot of money on 32-bit ARM servers, which the market doesn't want," Nathan Brookwood, analyst for Insight 64, said. Calxeda was "too early for ARM servers". Calxeda's former employees could find jobs soon however, there are plenty of opportunities for people with experience in ARM architecture, used in most smartphones and tablets today.